Outstanding work. 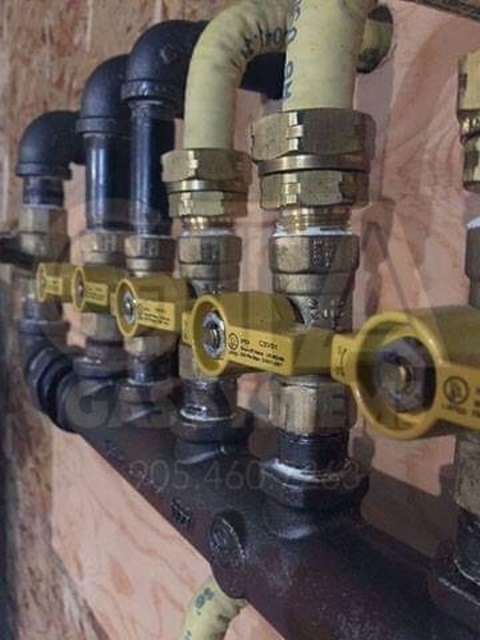 after doing our due diligence on different gas contractors, we chose Frank to install a new gas line into the kitchen for a new gas range shortly after we bought our 50 year old bungalow 2 years ago. He did a great job on it, hooked up our gas range and made sure everything was up to code including a range hood that vents outside. Recently, within the last month, we hired Frank again this time to replace an old, unsafe freestanding gas fireplace in the basement with a brand new one he recommended (Continental, made by Wolf Steel the same people who make Napoleon, and made in Canada which we really liked). We love it, and are very happy both with the product and with the careful work he did installing it. He was very thorough, made sure everything was right, even found a loose connection on the gas line outside the house which he tightened up. Did a great job of cleanup removing the old fireplace and all packaging material. Before leaving, he inspected everything again and made sure all features were working correctly including blower and remote control thermostat with automatic on/off. The quote he gave us was very fair and we are most pleased with his work. Highly recommended !!! Hi John! What a nice review. Not sure how I feel about the somewhat unflattering pictures (joking... sort of! ), but you and Betty are among my best clients and I will always move mountains to take care of you guys. I'm very happy that you're happy with how it all turned out. Thank you! Frank installed a new gas line for our range and dryer, we converted from electric range to gas so needed a new line installed. Frank was always quick to reply in the beginning stages of setting up our job, we were doing a complete kitchen reno so it was a bit like jenga arranging all the different trades to make the project work, but Frank was very flexible and able to fit us in before Christmas! He was punctual and finished the work in a timely manner and cleaned up before he left. Very friendly person and happy to recommend him and do business with him again. Thanks again Frank! Hi there Melissa. The back and forth leading up to the job was no issue at all, as well as getting you taken care of before the holidays. Thanks for the kind words! Enjoy the new range. Very fast response, both for the quote and the job. Gives sound advice and his work is well done. Frank is a professional I have no problem recommending to friends. Thanks for the succinct and friendly review, Emile. See you in the spring when you're ready for the next step. Ran all necessary piping and hookups. 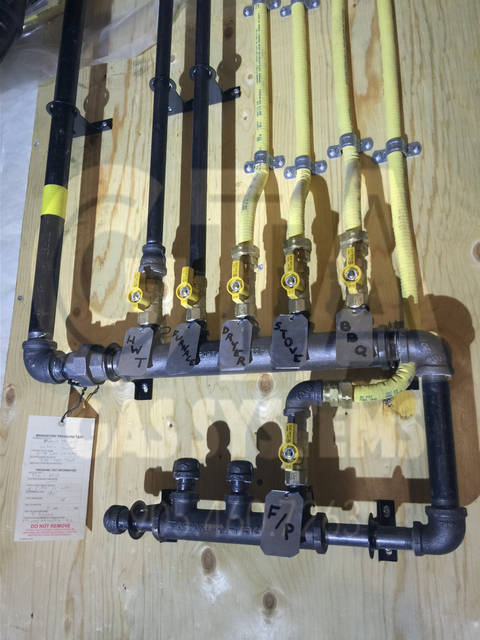 Really love the gas manifold. Great workmanship. Very satisfied. Will definitely hire for central air in the spring. Hi Simon. 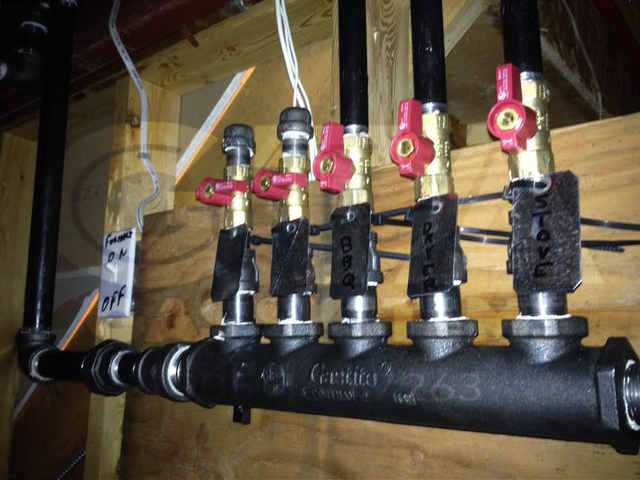 Thanks for allowing me to pipe in your brand new beautiful home. See you come spring time! We recently moved into Innisfil and needed a gas range and BBQ installed. 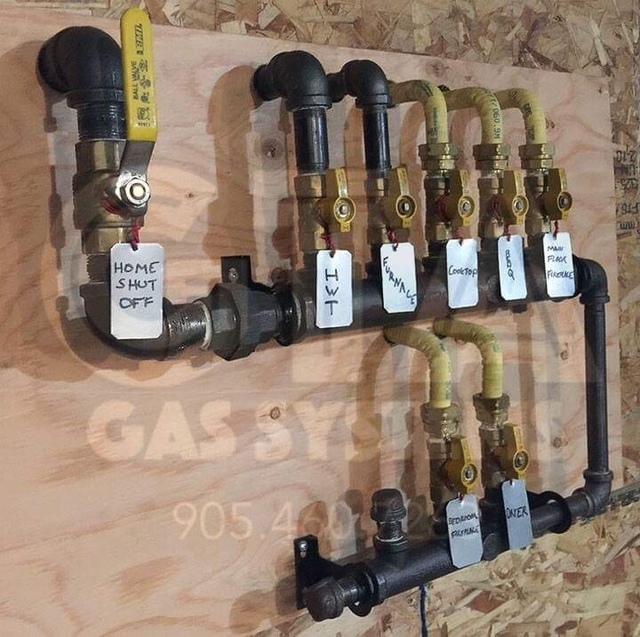 We contacted Frank Addesi, GTA Gas Systems and from the first conversation (via text message) we knew he was the person to complete the work in our home. Not only for his ability to get the job done but for is his honestly, integrity and follow up service as well. 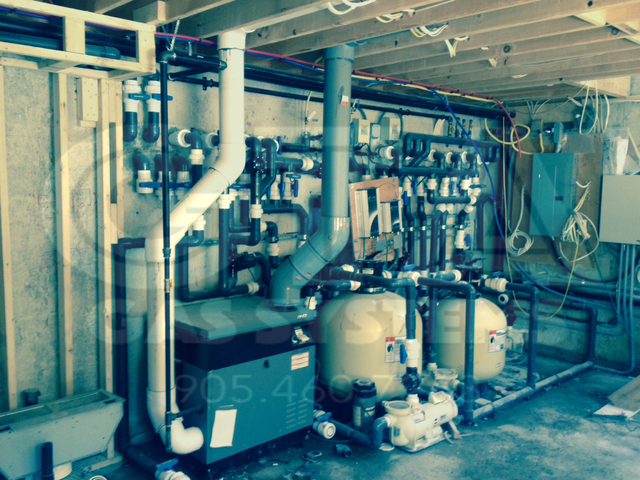 No job is without some issues, but those issues reinforced that we were dealing with a reputable contractor. The job was completed at the price quoted. Frank has been a great resource to us as new residents to the area and highly recommend him and his company GTA Gas Systems to anyone. Thank you Frank. Hello Bente! Thanks a lot for taking the time to leave a few words here. I hope you are liking your new place as well as the area and I look forward to working with you in the future. I'm always cautious hiring contractors I haven't worked with, or that haven't been recommended by someone I know. I reached out to Frank after reading reviews on HomeStars. He responded quickly, scheduled an appointment to meet at a time that was convenient for me, maintained constant communication, and completed our work quickly, honestly, and professionally. We had an issue with our fireplace, calling several contractors for quotes. We received feedback indicating $600+ of work would need to be done, but Frank had some troubleshooting suggestions to try before completing the work. We tried what he suggested, and resolved the issue for $0. In addition, he went out of his way to help us move an appliance to our garage after installing a new gas line for our range; something that wasn't discussed prior, and wasn't something he needed to do. 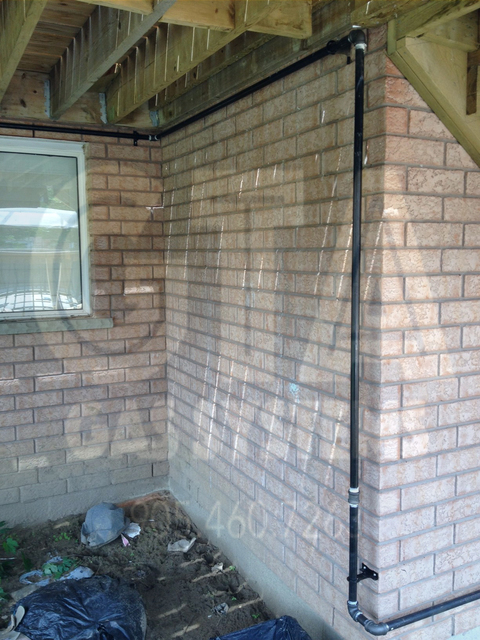 Frank is an amazing contractor; we won't hesitate to hire him again, and will recommend him to all friends and family. Highly recommended. Very professional. Everything was done in a timely manner. Reasonable rates Great clean up. Would definitely refer to anyone. Thanks so much Frank for a job well done!!!! Thank you Teresa! I will see you when it warms up outside for some AC fine tuning. Take care until then! 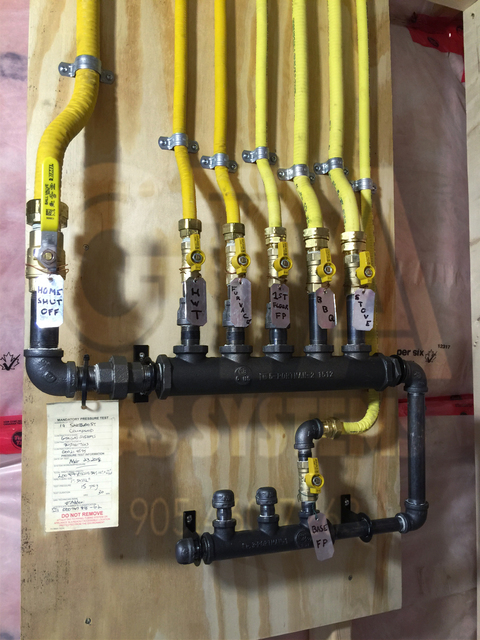 Underground natural gas line to carriage house and instant hot water heater, garage radiant heater install. 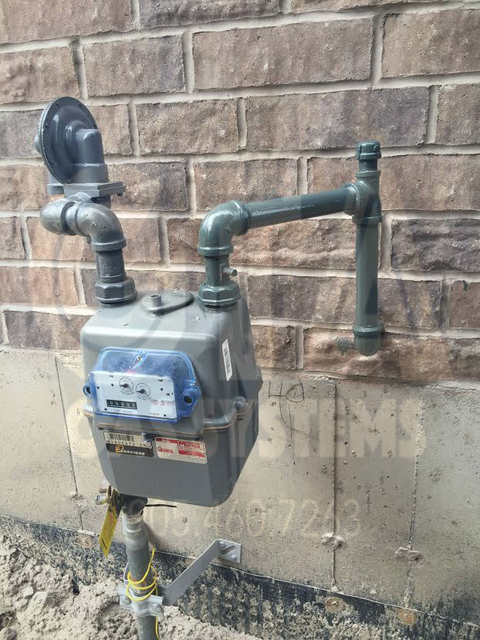 For our second building on the property (Carriage house and 3 car garage) we wanted to migrate from electric to Natural gas. I got a few quotes but then found Frank (GTA Gas Systems) on kijiji and had him come by and quote. There is about 100ft of line that was required to go from our main meter to the Carriage house. I agreed to dig the trench and Frank did all of the hooks and lay down the pipe. In another visit, he came installed the gas into the Carriage house. 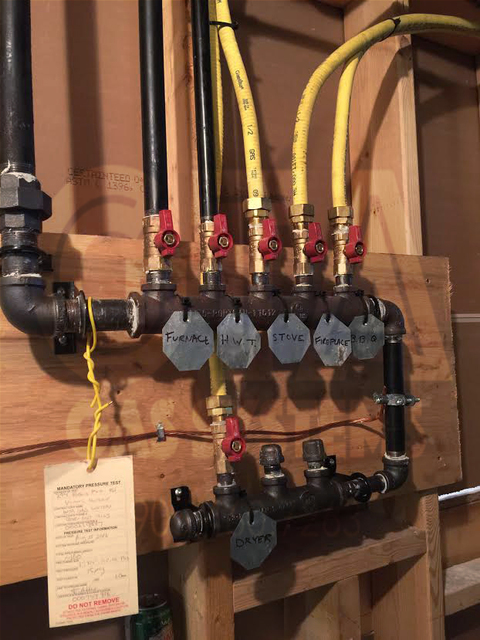 Through a very nicely built manifold that he constructed and mounted inside the garage, he proceeded to run 2 individual lines. One was for the instant hot water heater and the other was for a ceiling mounted garage radiant heater. Frank did some very nice and clean work and insisted on cleaning up after the job. He is extremely neat in his work and is meticulous about how things are done as well as how they look. It's not often you find those qualities in many workers and Frank excelled at all of them. In addition to that, Frank was excellent at his communication and showed up exactly when he said he was going to. We have more work for him in the Spring as we want to install a fireplace and outdoor BBQ. HE already provisioned for this in the manifold he built for us. I will be using and recommending Frank for all of our gar work going forward. He was a pleasure to work with and can hold a great conversation when prompted, whether it's about the gas trade or other topics. Thank you for the excellent work. That is quite a review Mark. I enjoyed working with you on this job as well as shooting the breeze making things a little more light-hearted throughout. See you in the spring for the fireplace/BBQ work.